Residential home design. Additions, renovations, and new homes. Steven Joseph was a General Contractor for many years and understands the design/build process from both the client's perspective as well as the builder's. 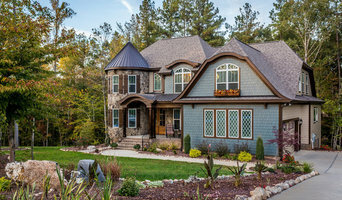 As the sole owner and proprietor of Design by Bailey, a Residential Design firm established in 2007, I specialize in Single Family Custom Home Design, Additions and Renovations in the Sandhills area of North Carolina. 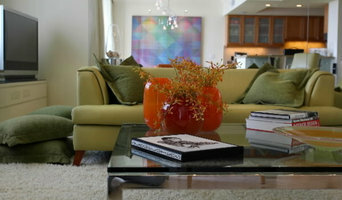 Full Service Interior Design Firm with over 30 years' experience for both Residential and Commercial needs. We specialize in Residential Design. Our diverse portfolio encompasses Kitchen and Bath renovations as well as turn-key installations. We are members of ASID. We are a design and material company as an authorized distributor for Lindal Cedar Homes serving the Southeast US. Our home designs range from mountain classics to very elegant contemporary or modern suburban homes. Cleverly tailored professional, interior, exterior, commercial, residential and event design. Uniquely all trade discounts, prices, resources and products are made available to design clients at cost. Every aspect of your home is important...from the placement of your furniture within the spaces, to the placement on the site, creating beautiful vistas from within the home. TDG designs with all of these in mind, including your lifestyle. We design with a passion for excellence, and strive to create the best home for you and your family. Alicia Ravetto Architect PA offers full architectural services for custom residential & commercial projects, specializing in green building. The focus is on a design approach that integrates advanced building technologies with clean renewable energy to achieve more comfortable, durable, affordable and environmentally sound buildings and communities. Alicia Ravetto, an experienced and recognized leader in the global green building community, offers consulting services to architecture firms and building owners such as: LEED Consulting, charrette facilitation and workshops. Alicia Ravetto grew up in Argentina where she received her professional degree in Architecture from the National University of Rosario . She lived in sunny and dry Mendoza for six years doing research in passive solar design and daylighting which set the tone for her professional career. She came to the US in 1985 as a Fulbright scholar to pursue her Master of Architecture at the University of California Los Angeles (UCLA). Alicia moved to NC in 1987 and lives and works in her high performance solar house that she designed and built in 1996 with her husband Paul Konove, design/builder. Everyone has a vision as to what their ultimate home could and should be. Our mission at Ward Design Group is to help you create and fulfill these intentions through thoughtful and unique design. Simply stated, it is “where visions become reality.” Rodney Ward, president and founder of Ward Design Group, started a design/build company in the early 1970s. After more than two decades in that field, moving into architecture and design was a natural evolution for him. 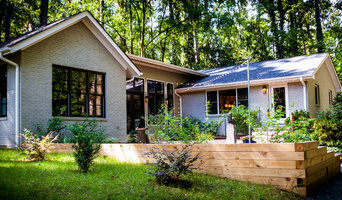 In 1994 Rodney established Ward Design Group, Inc. with the goal of integrating his years of experience in the construction field with his eye for detail from the drafting table. Laura Ward joined the firm in 1997, working closely to assist with the interior design and detailing of homes Rodney was designing. Laura manages the design process, shaping everything from cabinetry design to the lighting plans, color schemes and more - all the time keeping in mind the overall scope of the project and our clients’ vision. Frazier Designs has been assisting in the design of high quality House plans, and commercial buildings since 2000. Created by Adam Frazier, Frazier Designs has obtained a wealth of experience and skill and is known as a company that delivers its projects on time and with the quality you would expect. We go the extra mile to insure that our projects meet or most of the time exceed your expectations. Always on top of technology, Frazier Designs is a leader in residential design. The clients we have worked with love our designs and I'm sure you will as well. Founded by Keith Shaw, AIA, in 1995, and known particularly for custom-designed, high-end estate homes, Shaw Design Associates, P.A. is a recognized leader in providing innovative architectural solutions for all project types – solutions based on time-tested, enduring standards and plan elements that are vital to design integrity. The firm adheres to these design truths by focusing on the land, the light, and the patterns of interaction between the owner, the structure, and the environment. 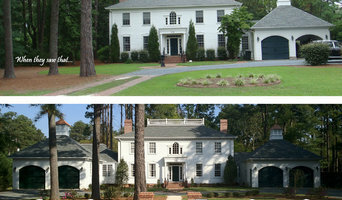 Shaw Design Associates is located at 180 Providence Road, #8, Chapel Hill, NC 27514. For more information, visit shawdesign.us or call 919.493.0528.